The CSTB guides industry stakeholders as they mobilize for the quality, sustainability and comfort of buildings. From November 20th to 23rd, experts from the CSTB's Windows & Glazing as well as Safety, Structures & Fire Performance departments will be at the Equipbaie international trade fair in Paris, at Porte de Versailles. They will be happy to inform you about all of CSTB's solutions and services for testing, evaluation, certification, expertise and training. The Windows and Glazing team will present their evaluation, certification and testing services, as well as the training they offer on installation. There is much to discover in window products: new certifications for steel reinforcements (QB), color PVC profiles (QB) and the rollout of comprehensive marking for windows. 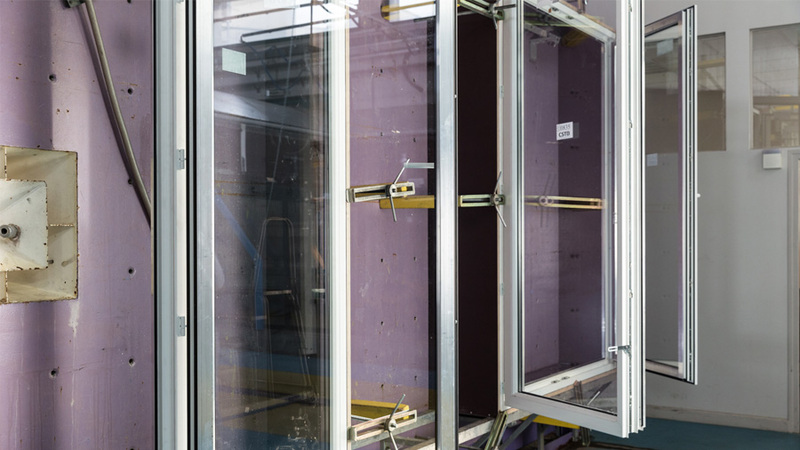 For window manufacturers, the CSTB offers break-in resistance testing of their products. To support project management and installation teams, the CSTB offers training courses with regional partners such as TIPEE in La Rochelle and in the Paris area with the Compagnons du Devoir (skilled workers guild) in Champs-sur-Marne. The experts working in the Safety, Structures and Fire Performance department will be at the Equipbaie trade fair for the first time; they will present their services for manufacturers and for the stakeholders of the construction industry, such as landlords, owners, project managers, consulting firms, and others. Learn more about the department's worksite expertise and guidance, regulatory services, development testing and evaluation, technical report renewals, new CE marking of door sets, and training. You will also discover the CSTB's innovative range of business software packages, to help you meet the latest energy and environmental requirements: ULYS Paroi vitrée, ULYS Ponts thermiques, Transol, Elodie, TRNSYS, eveBIM-TRNSYS, CYPETherm Cometh et SEDexpress ainsi que les ouvrages Sécurité Incendie. The CSTB wishes you a Happy New Year 2019!